Another great novel by Ellen Hopkins. As always, she doesn’t shy away from tackling tough, controversial topics. 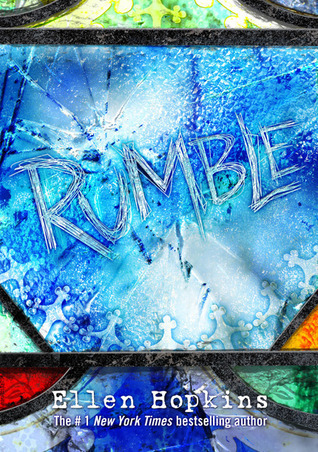 In Rumble, we find storylines about religion and suicide. Both of which are difficult topics to look at objectively by some. I thought she did a good job. This book was full of heart-wrenching moments along with some humor from the protagonist. Rumble also dealt with loss and underage drinking in a very real manner. It almost felt like this book could be someone memoir when made it even more interesting to read and it was easy to get sucked into it. I found myself staying up way too late reading this book because I just could not put it down.